A WOMAN from Bulawayo has appeared in court for stealing more than $900 from her uncle’s bank account, blowing nearly $600 on airtime and the rest on electricity tokens. Sicelo Nkomo (20) of Nketa suburb transferred $976,30 from a bank account in the name of Mr Pinder Nkomo (68) of Entumbane suburb using her cell phone which was connected to the bank account. Nkomo blew $579 on airtime and purchased Zesa tokens with the rest of the money, a court heard. Nkomo pleaded guilty to theft charges when she appeared before Western Commonage magistrate Mr Lungile Ncube. 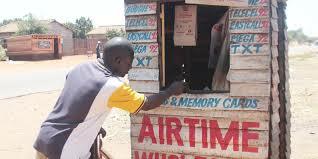 “I used the airtime to call my friends and my sister. I bought electricity tokens because I was left at home alone with the children and we had no electricity,” said Nkomo. Mr Ncube sentenced her to twelve months in prison. Two months were suspended on condition that she does not commit the same offence in the next five years. A further six months were suspended on condition that she restitutes the complainant his money before April 2019. The remaining four months were suspended on condition that Nkomo performs 140 hours of community service at Nketa Primary School. When asked if she will restitute her uncle, Nkomo said she was going to plead with her grandfather to help her. “I will be able to compensate him in a period of six months. I will ask my grandfather who is in South Africa to assist me,” she said. Prosecuting, Mr Kenneth Shava said between October 2 to November 19 Nkomo stole from her uncle. He said she bought airtime on several occasions amounting to $579,80 and bought Zesa prepaid tokens with the rest of the money without her uncle’s consent.